General Motors has repeatedly tried to downplay the benefits of Ford’s all-aluminum body on F-Series trucks, especially when it comes to bed durability. 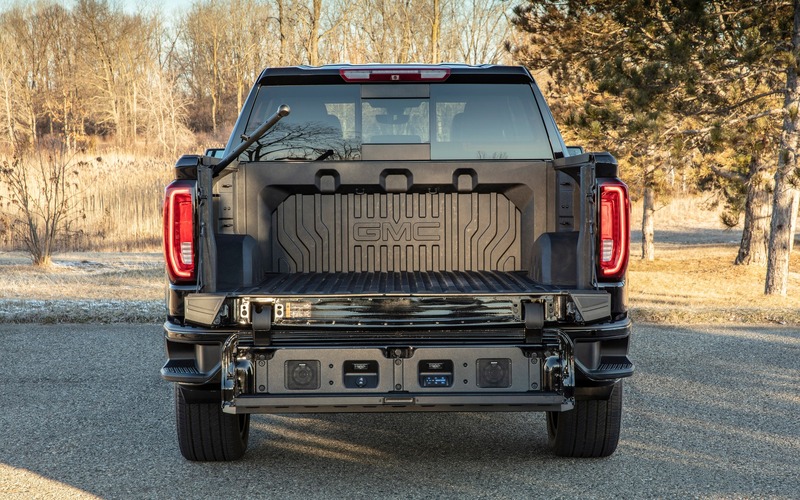 But with the launch of the completely redesigned 2019 GMC Sierra last year, the automaker switched into attack mode and promised the industry’s first carbon fibre composite bed in a pickup. Today, we’ve learned that the all-new 2020 GMC Sierra CarbonPro Edition will start production in early June and begin appearing at select dealerships later in the summer, available on Sierra Denali 1500 and Sierra AT4 1500 models. Pricing has not been announced yet. These trucks will offer best-in-class dent, scratch and corrosion resistance, GM claims. To test the bed’s resistance, engineers dropped cinder blocks, 1,800-pound loads of gravel and 450-pound water-filled steel drums from varying heights. They even loaded a snowmobile with metal studs on the track and accelerated at full throttle with a 250-pound rider on board with only minimal scratching evident on the bed. In addition to withstanding impacts and Mother Nature’s elements, the CarbonPro bed weighs 25 percent less than a traditional steel bed, removing roughly 60 pounds of vehicle mass. Its grained surface also negates the need for bed liners, potentially saving further weight. You won’t have to paint it, either, since the composite material creates a premium surface and is UV stable. Payload capacity is increased by at least 59 pounds thanks to the CarbonProbed design that pushes the sidewalls farther out, resulting in approximately 28 litres of extra room. And from a practical standpoint, it incorporates indentations specifically designed for tires of dirt and street bikes, as well as two additional tie-down locations at the front of the bed. GM says the availability of the CarbonPro bed will be limited at launch, but expanded later in the year. 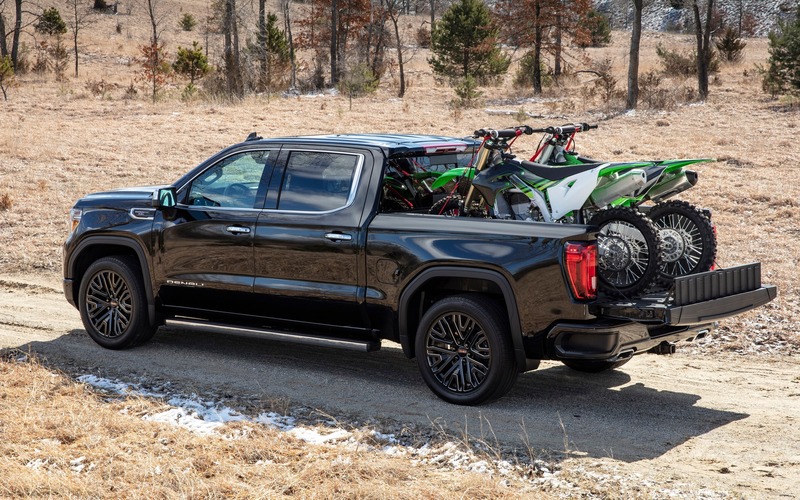 Other highlights of the 2020 GMC Sierra include an available ProGrade Trailering System with in-vehicle trailering app, a digital rear-view mirror that uses a camera to provide a wide, unobstructed view, plus a multicolour 15-inch head-up display system.